This is a great anniversary for me although it might not mean much to anyone else. I have not bitten my nails in two weeks! Actually two weeks and three days. This is a big deal because as I work on my book on Leonard Pennario I often chew on my nails without thinking about it. Two weeks is a milestone. And so I am rewarding myself by buying nail polish. 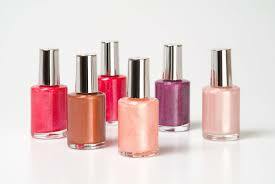 I use coupons and so I get great nail polish at deep discount. However! A warning! There are nail polishes that look better in the jar than on your hands. .. "Green With Envy." It is a beautiful bright yellow-green. The clerk commented on how pretty it was as I checked out. I beamed. Then I got home and put it on my hands. I don't know, green just seemed unnatural on my nails. It reminded me of alligators or something. Look at those colors up above. Every color should work! However every color does not work. It is like the Henry Ford rule: Paint a Model T any color as long as it's black. "Sugar Daddy". 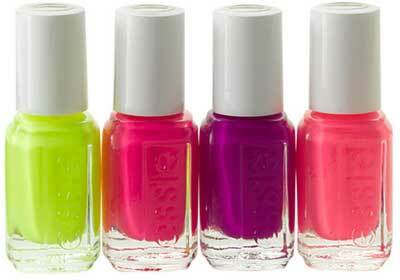 By Essie Nails. You have to get this color at Target or Walgreens... little pricey at $8.00 but, you will actually finish the whole bottle! It is subtle pale pink, natural color, and as it chips off it's not that noticeable if you can't get time to redo it soon enough. I am getting to like the pale pinks. They are more forgiving as far as chips go than the brighter colors. Right now I have on Sally Hansen Must-Have Iris. ... Sugar Daddy has a great ring to it. Unfortunately the difference between $8 and free is just too much..